Grew up… in cynical times. Billy Flynn became a lawyer for two reasons: a) the money, and b) because people are schmucks, as easily fooled as children. Living… at the top of 1920s Chicago society. As the best lawyer in town, Billy is just as big a celebrity as any of the glitzy, glamorous jazz singers. He knows that he possesses the kind of “razzle-dazzle” that’s necessary to make it in this city. 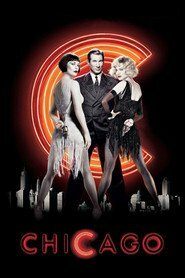 Profession… lawyer, currently representing murderer Roxie Hart. Billy knows the secret to getting public opinion on his side: turn the whole trial into a show! As he explains, “This trial…. The whole world… it’s all… show business.” Billy’s not concerned with whether he’s following the spirit of the law, so long as he wins the case. He’s also not above putting words in his clients’ mouths, if they aren’t telling their story the way he want them to. Personality… confident and cunning. Billy Flynn is a master of spin: he can transform the image of a murderer into the image of a tragic victim with incredible ease. As he modestly puts it, “I don’t mean to toot my own horn, but if Jesus Christ lived in Chicago today, and he had come to me and he had five thousand dollars, let’s just say things would have turned out differently.” Relying on the sympathies of the public, Billy plays off his female clients as victims. A master manipulator, Billy knows just how and when to sound sincere for maximum effect. Billy Flynn's popularity ranking on CharacTour is #1644 out of 5,000+ characters. See our top-ranked characters and read their profiles.